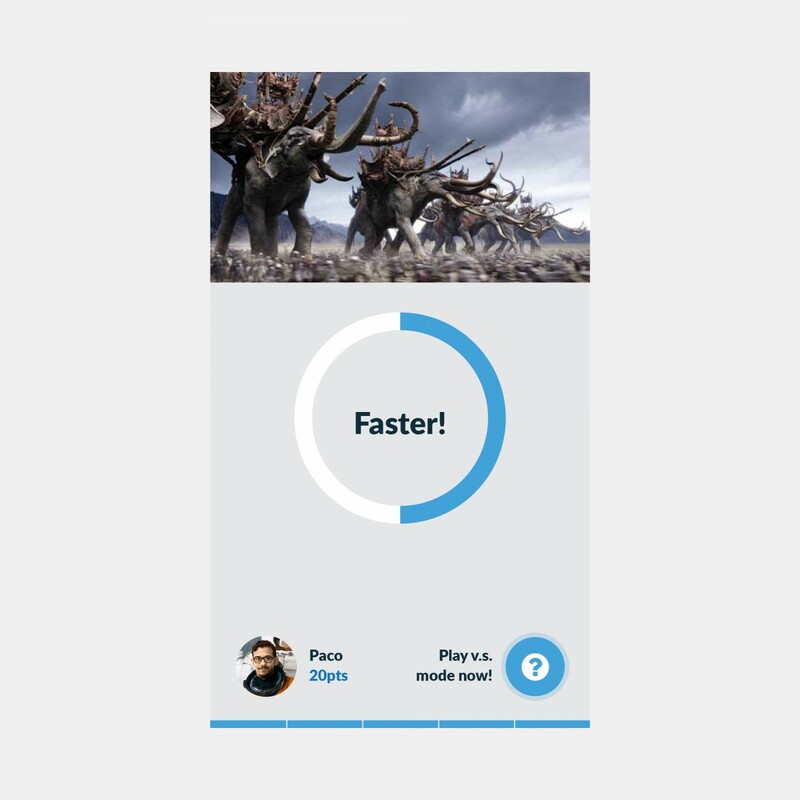 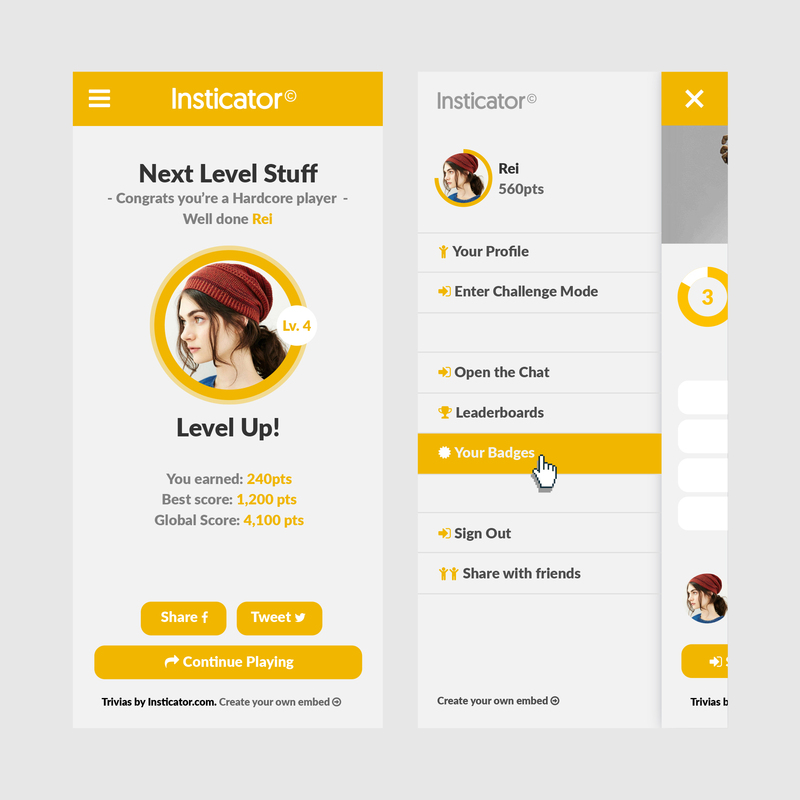 Interaction and Interface Design for NY based Startup. 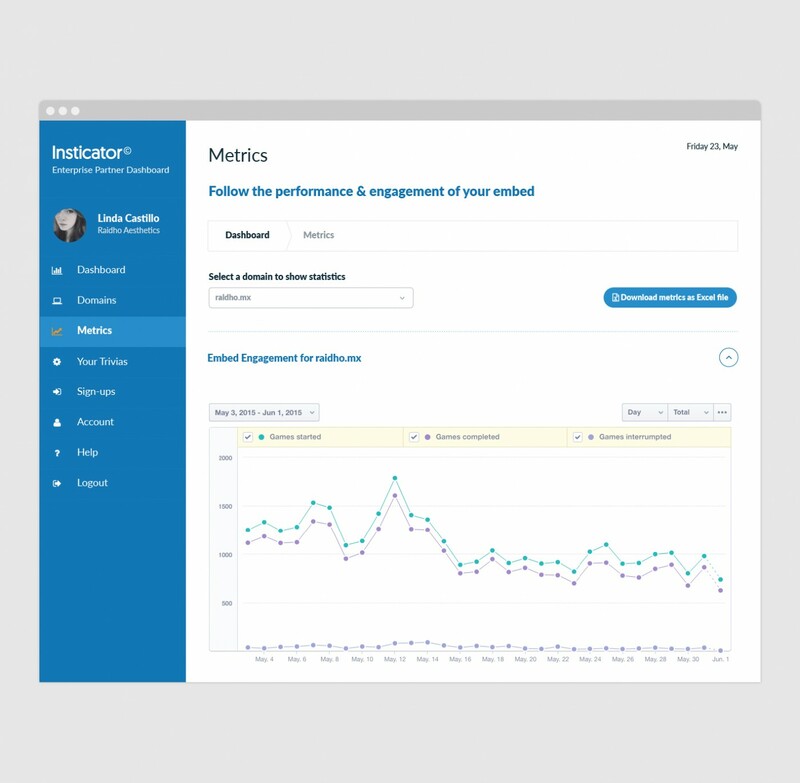 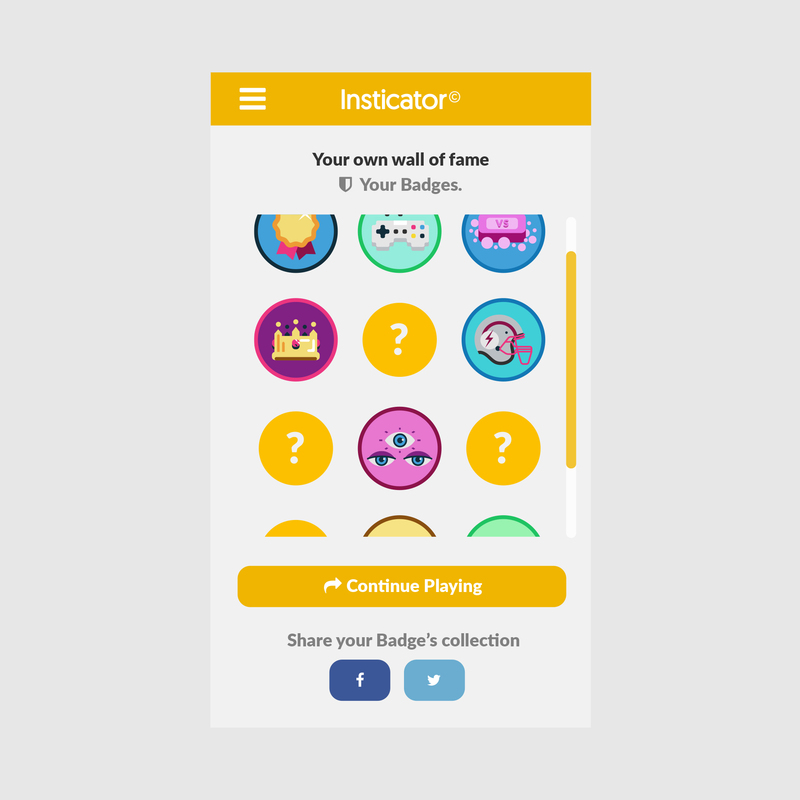 We collaborated closely with Insticator to improve their digital product, private dashboard and public website. 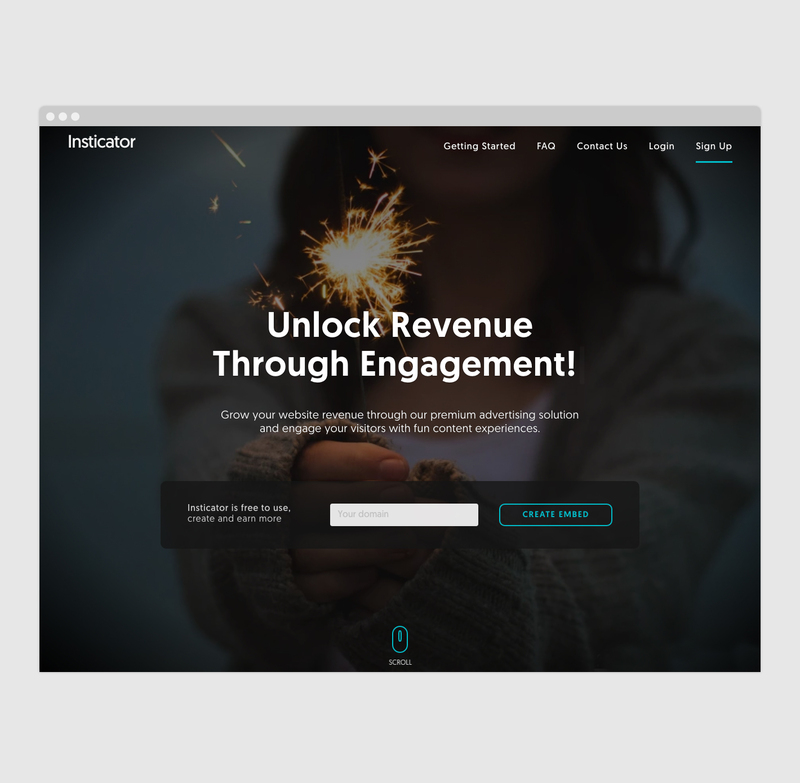 The Insticator embed provides a fun and lightweight way of generating revenue for publishers, while increasing visitor’s engagement. 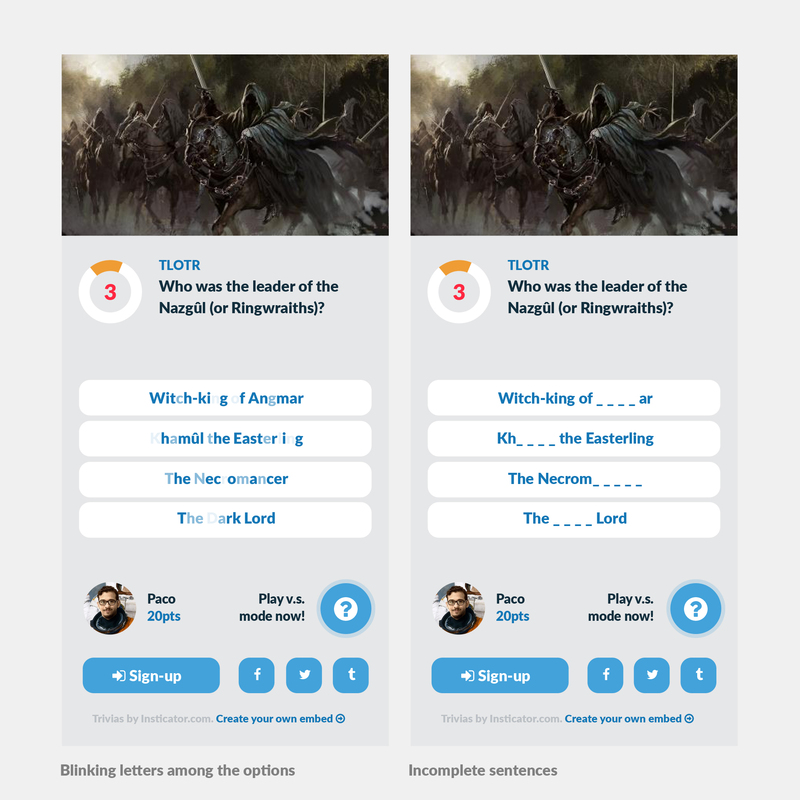 We had fun developing gameplay scenarios, from basic flows to full UI mockups. 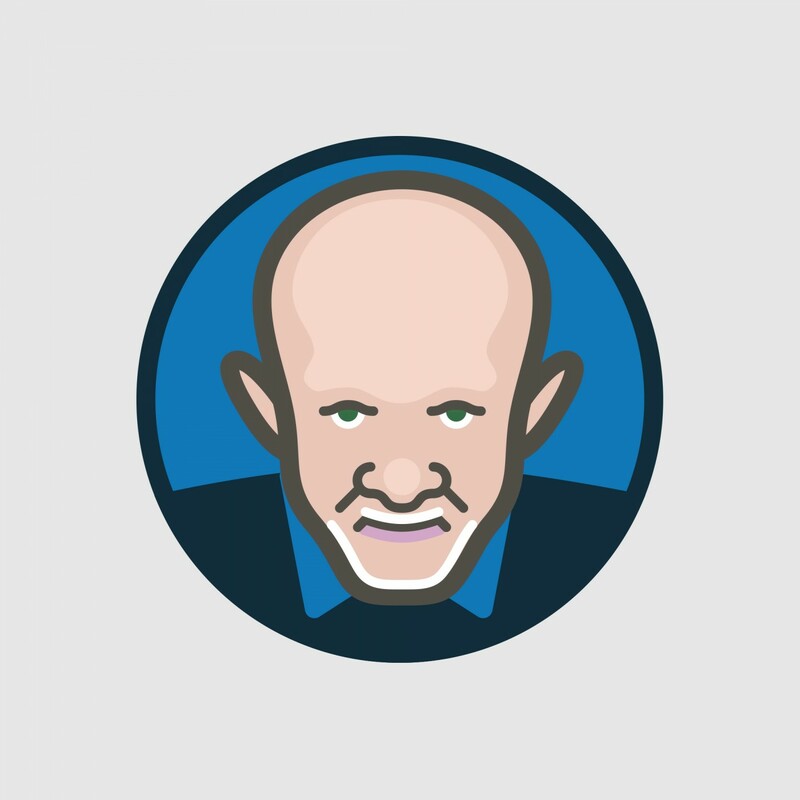 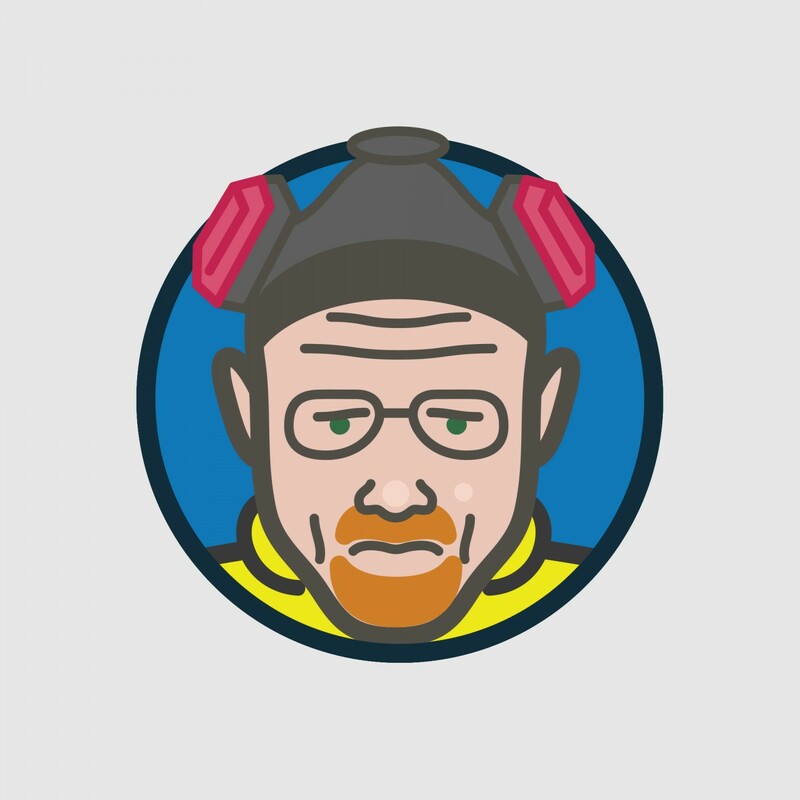 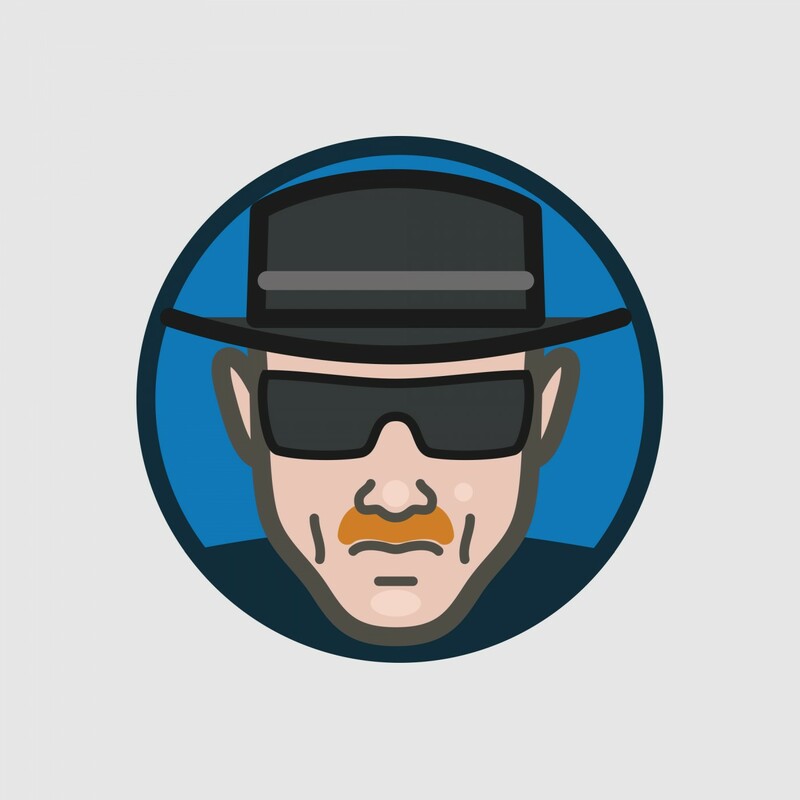 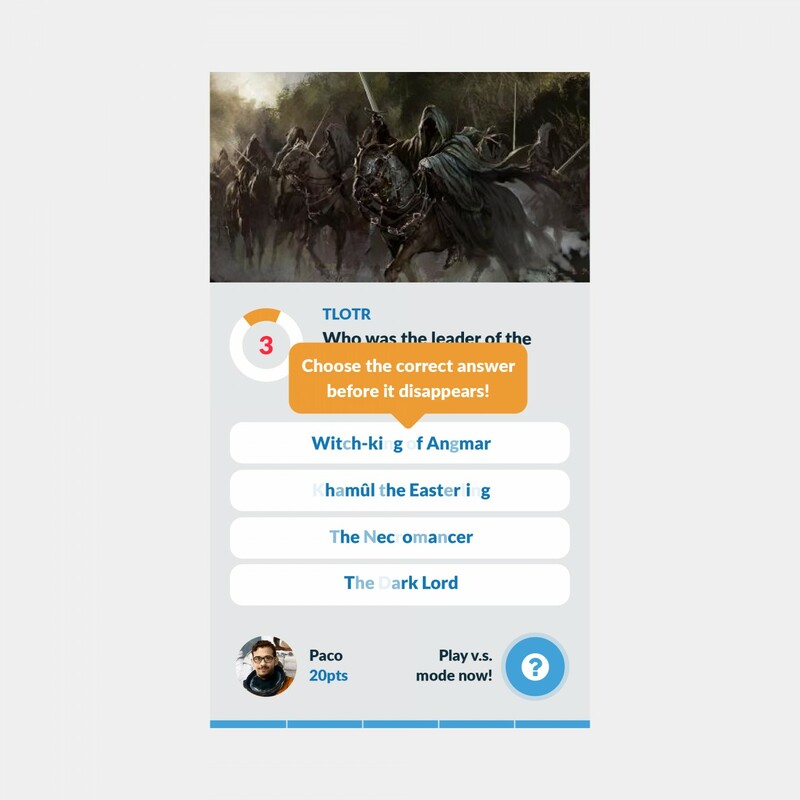 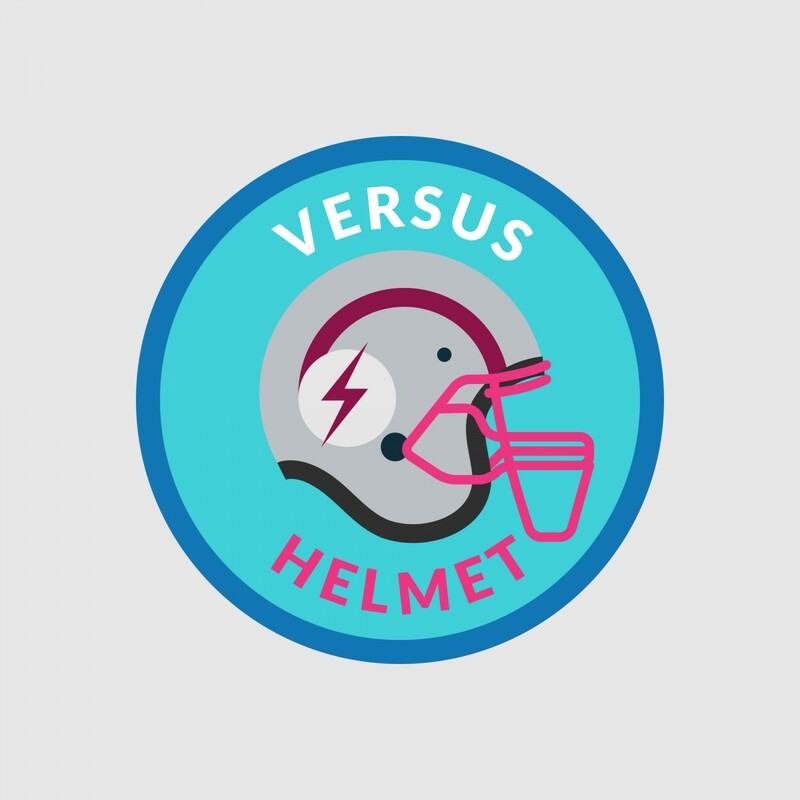 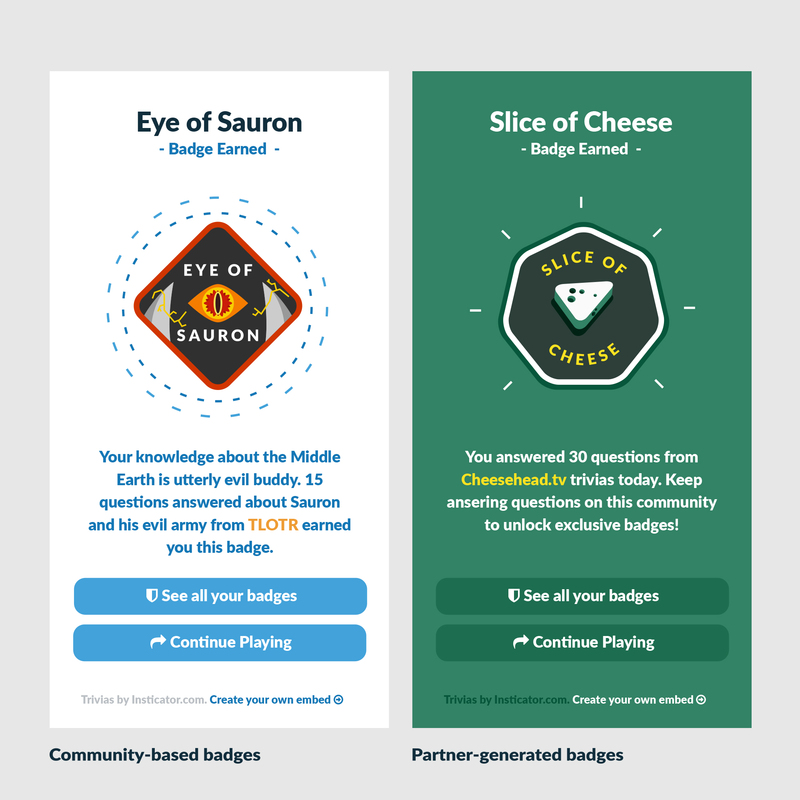 We introduced several ideas to promote engagement through the use of the embed, such as special challenges, badges and custom avatars. 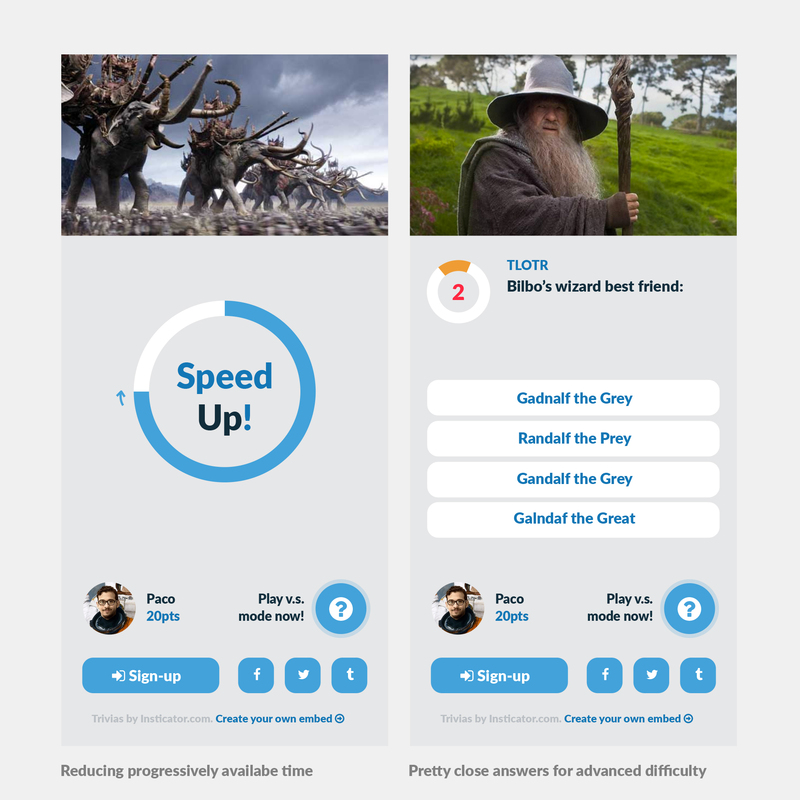 The first approach consisted on introducing difficulty progression to the game, as seen on the following examples. 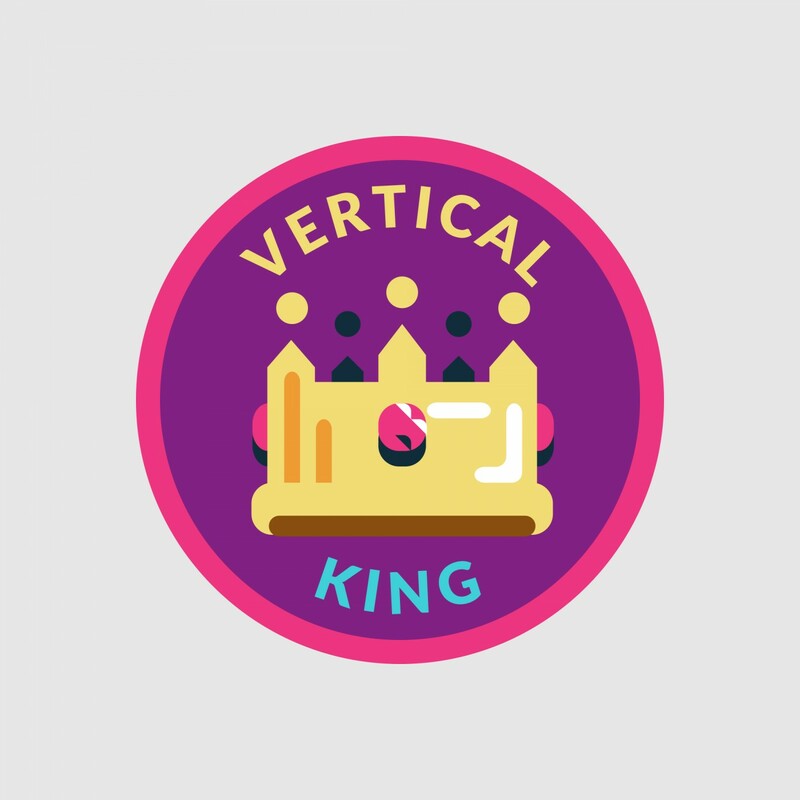 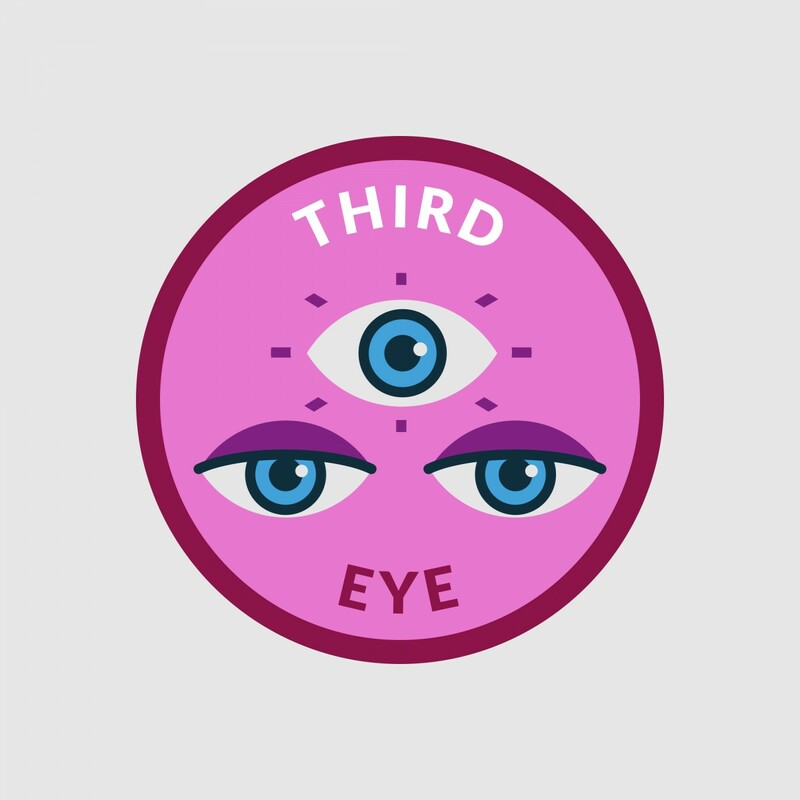 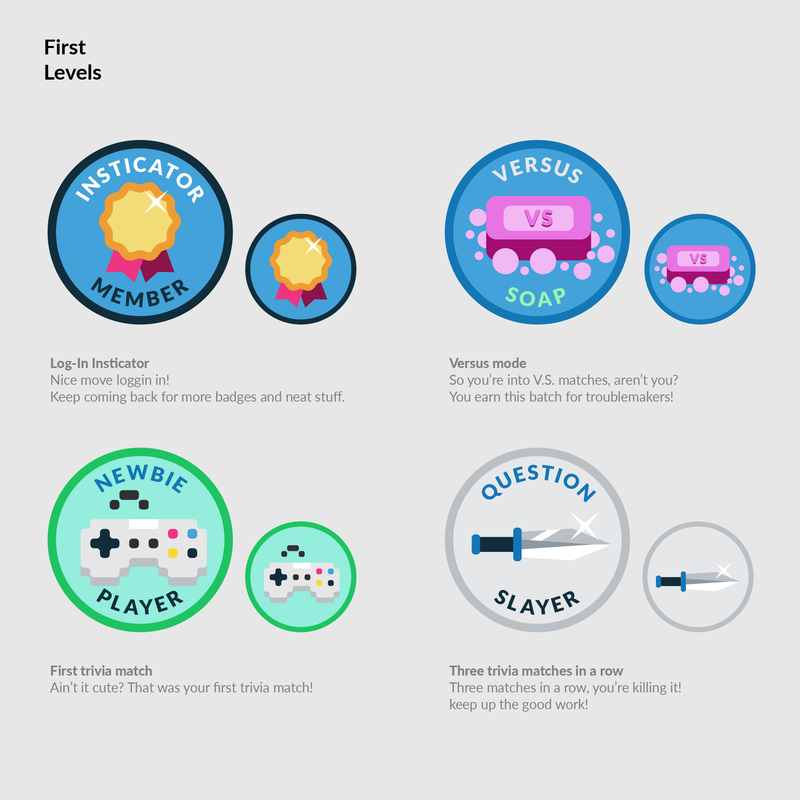 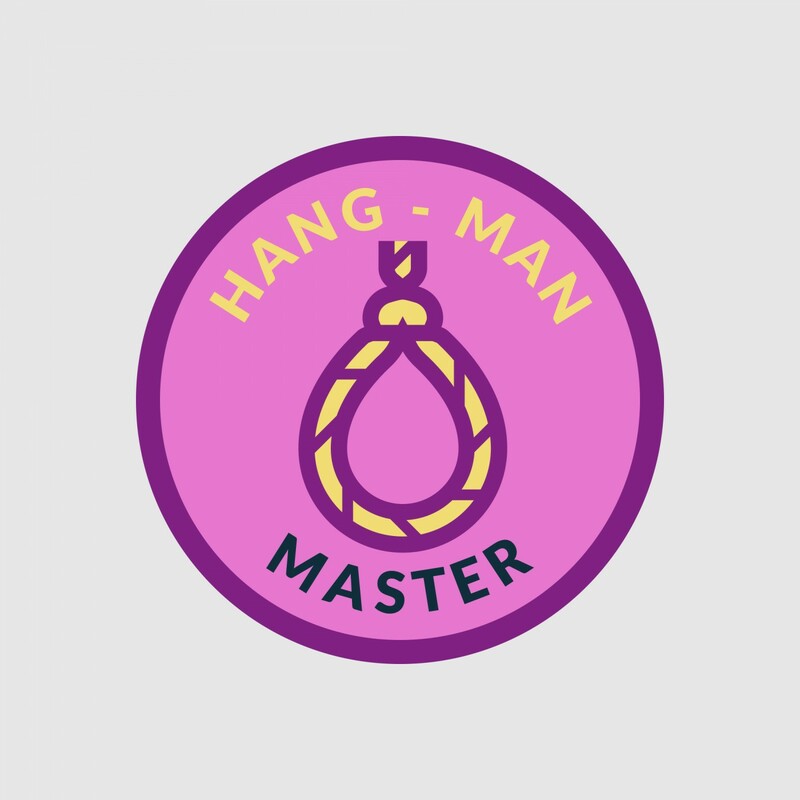 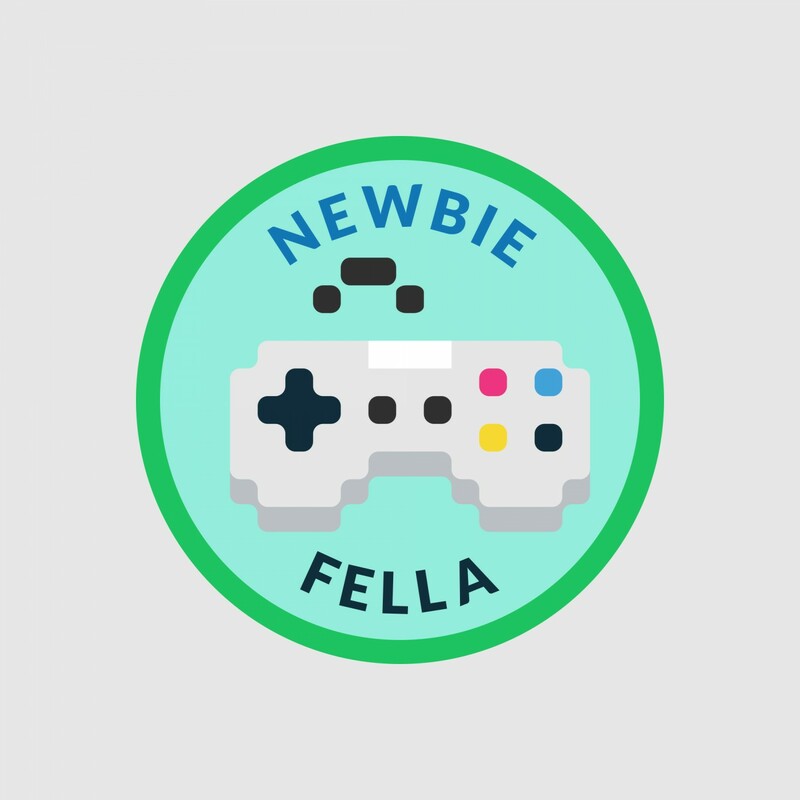 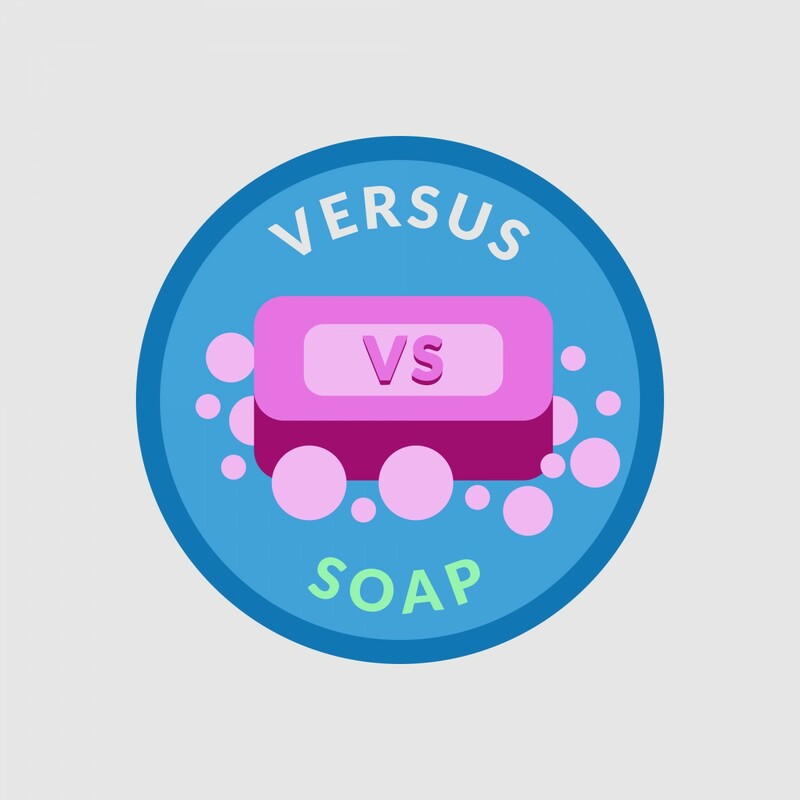 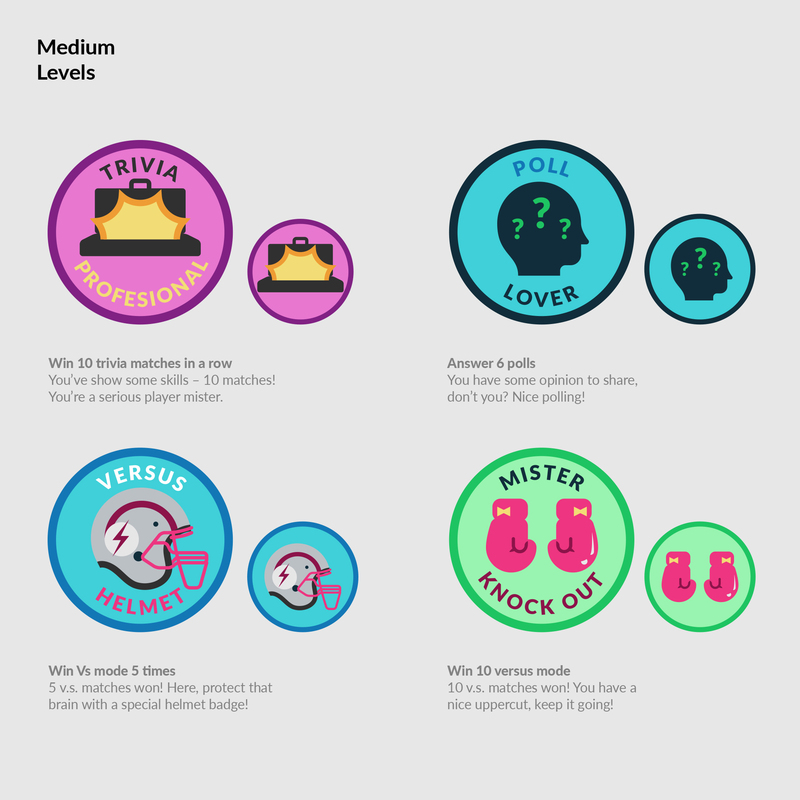 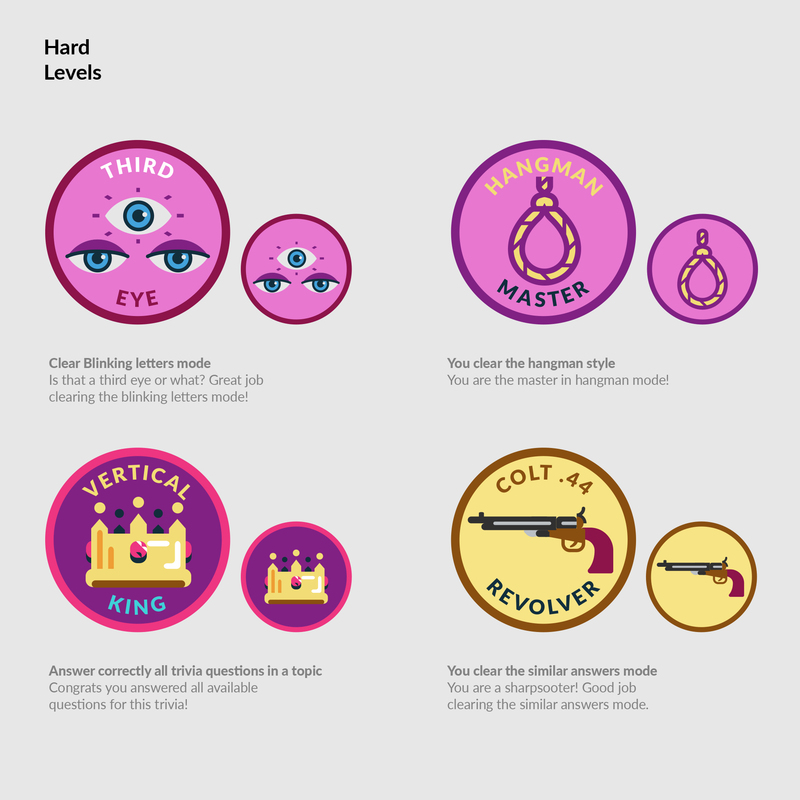 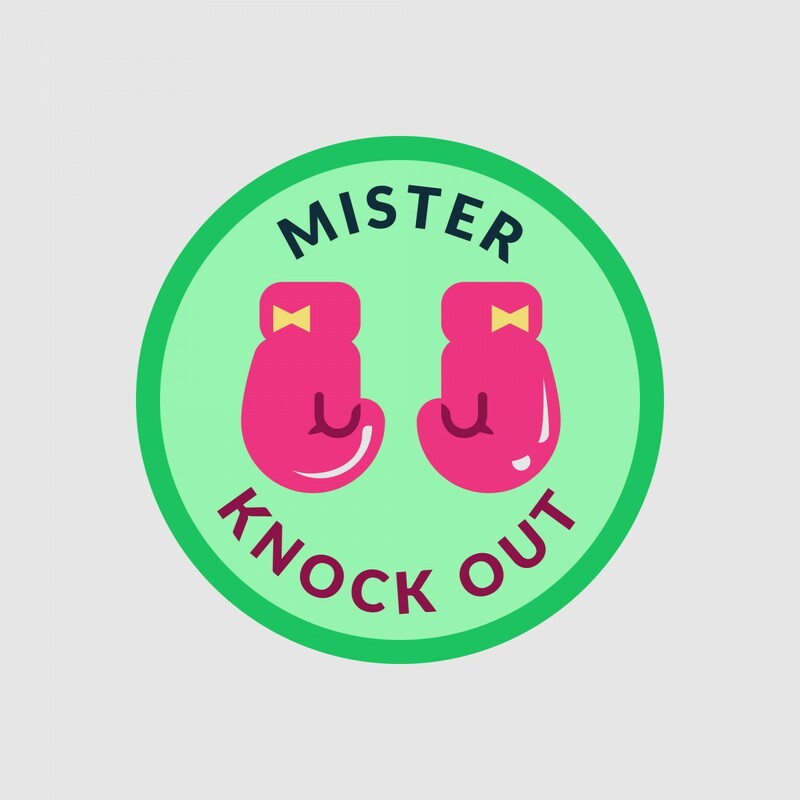 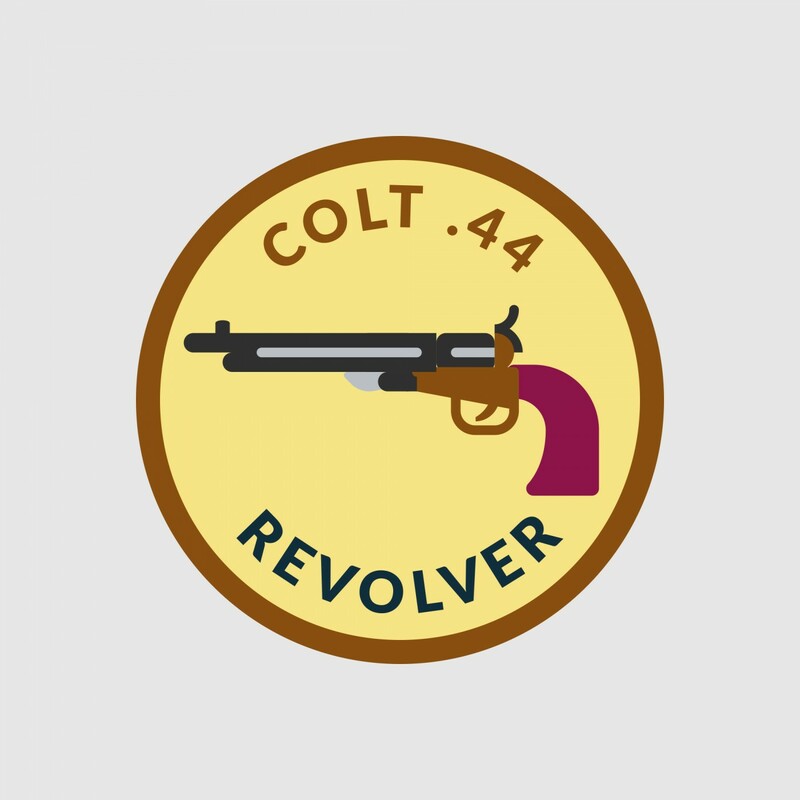 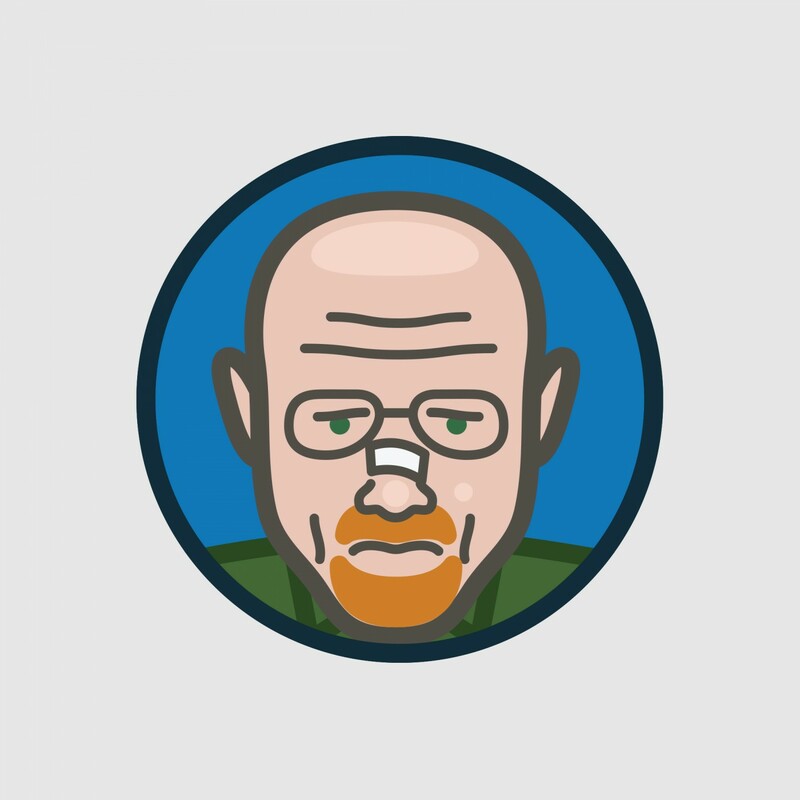 Badges are pretty similar to unlocking achievements, with the main difference being that you can keep a graphic token of your accomplishments. 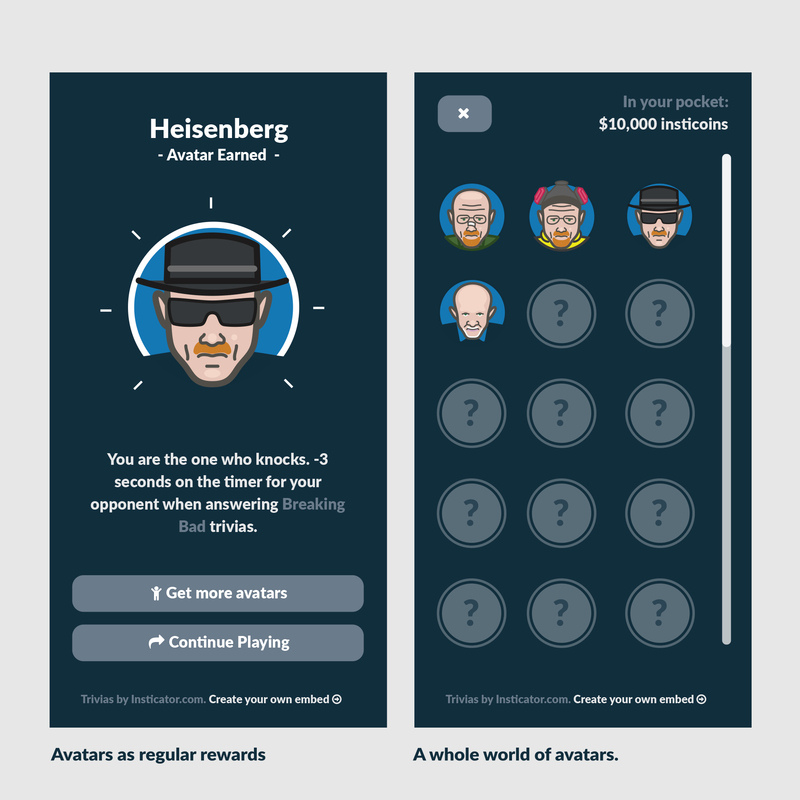 This kind of reward is based on graphic treats, and the curiosity and interest they awaken in players. 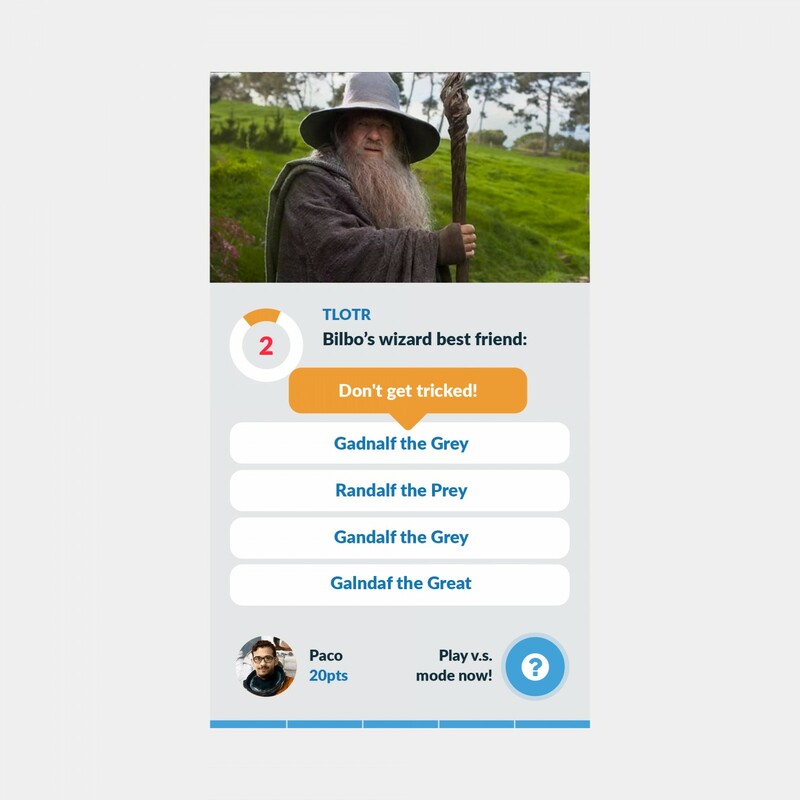 Most definitely, fans will be eager to collect their favorite characters as unlockable avatars, and using those avatars as their own identity. 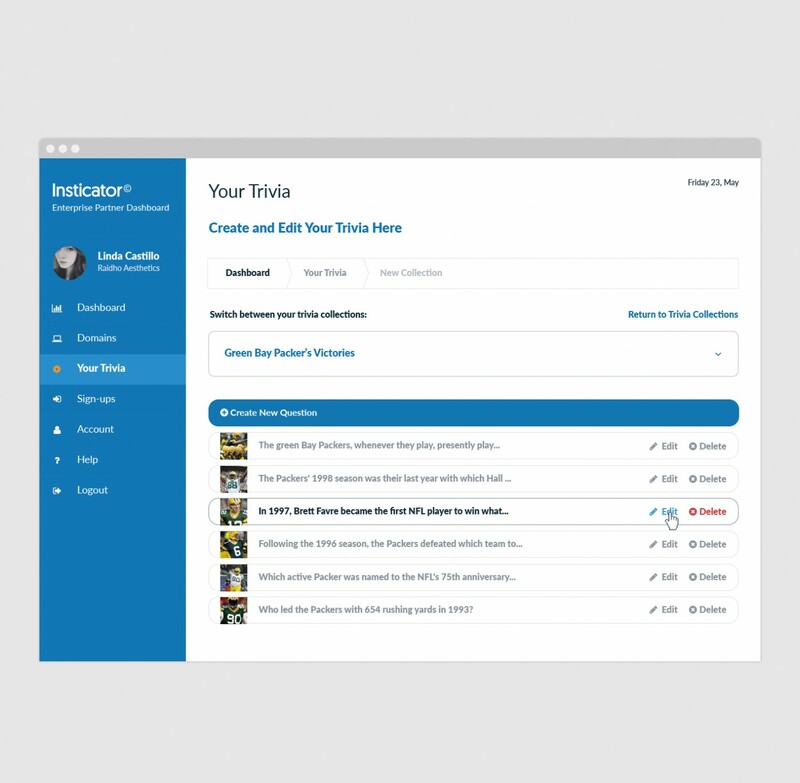 The embed packs a huge value proposition inside a truly compact widget, and we needed a proper dashboard to backup all the features of the embed. 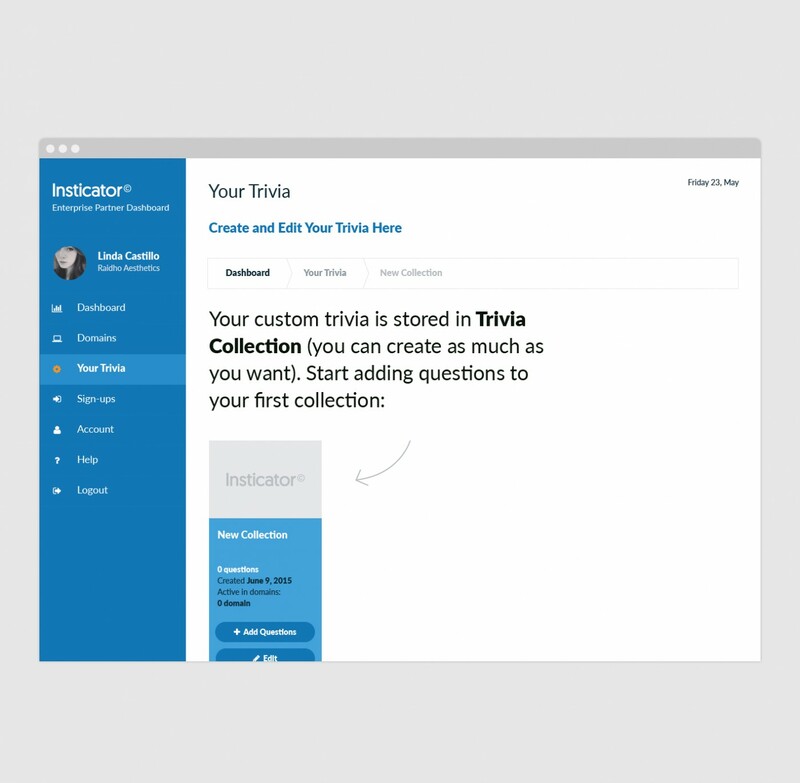 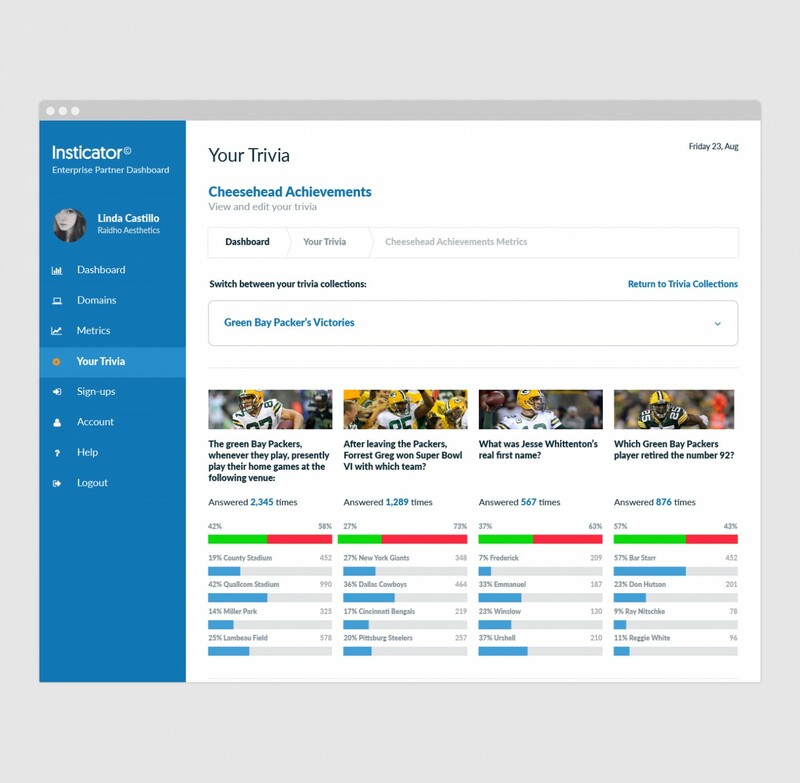 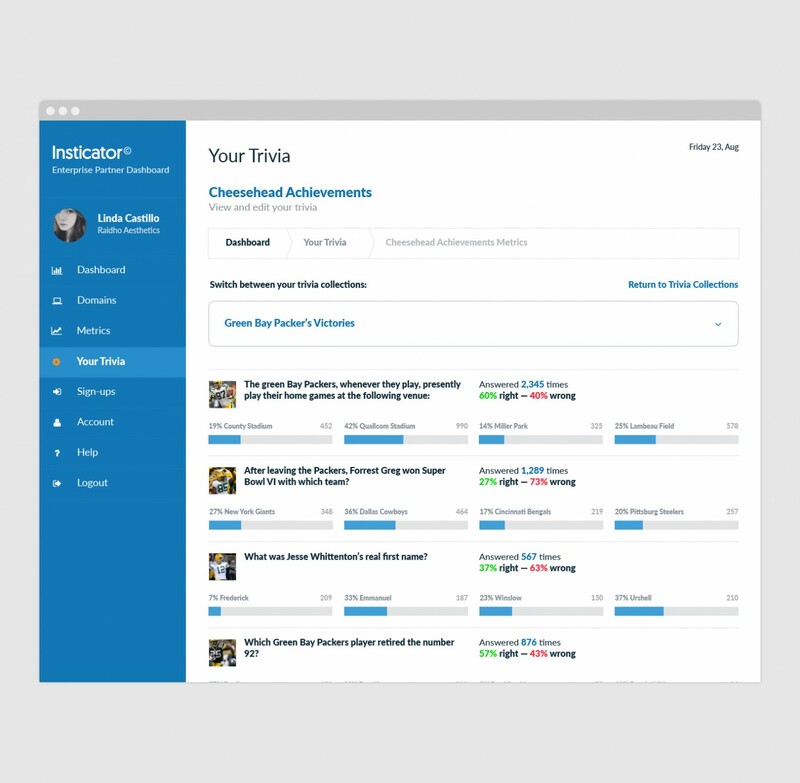 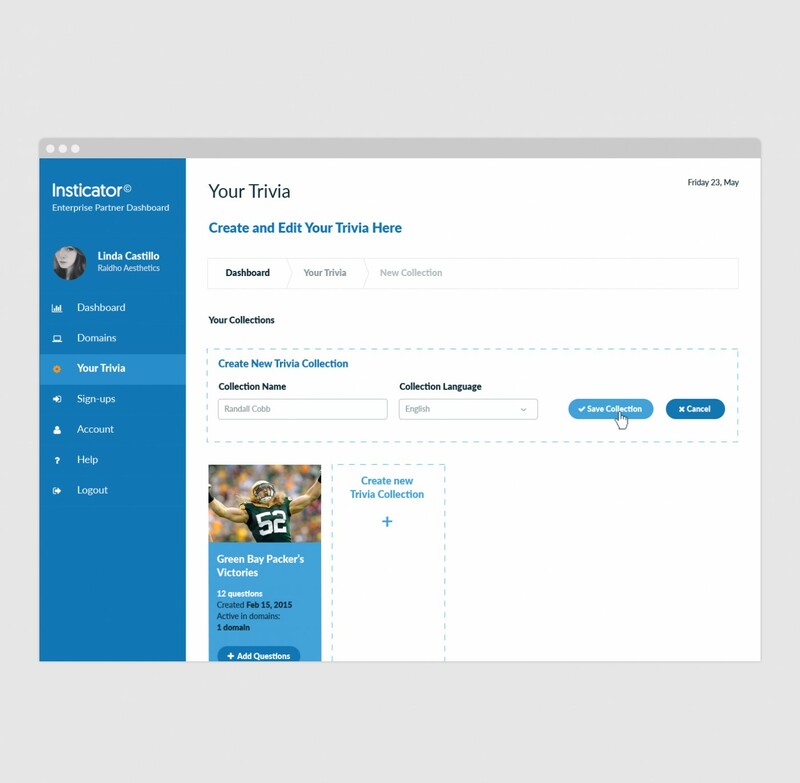 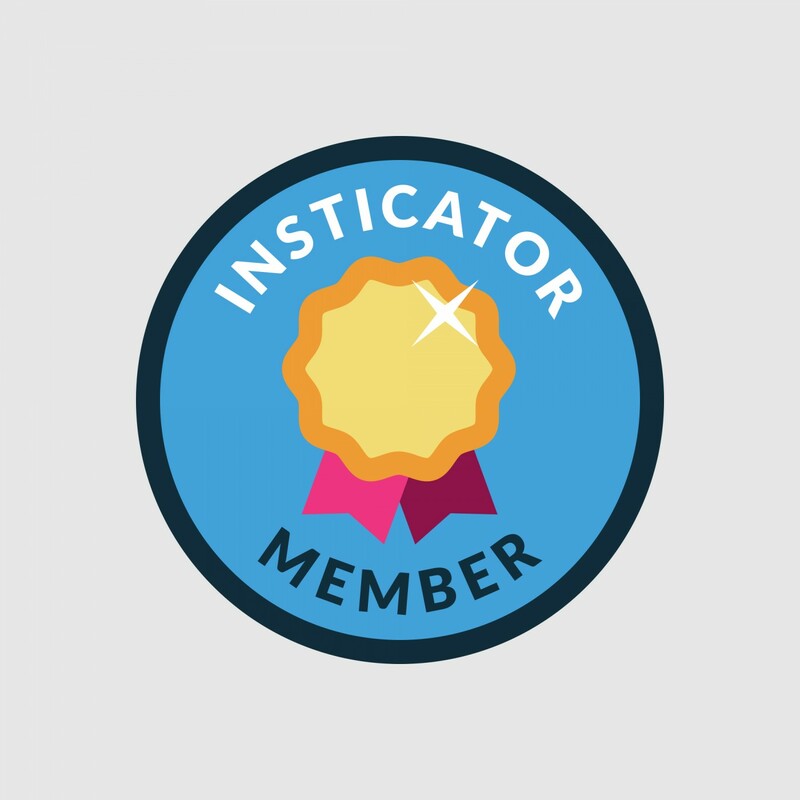 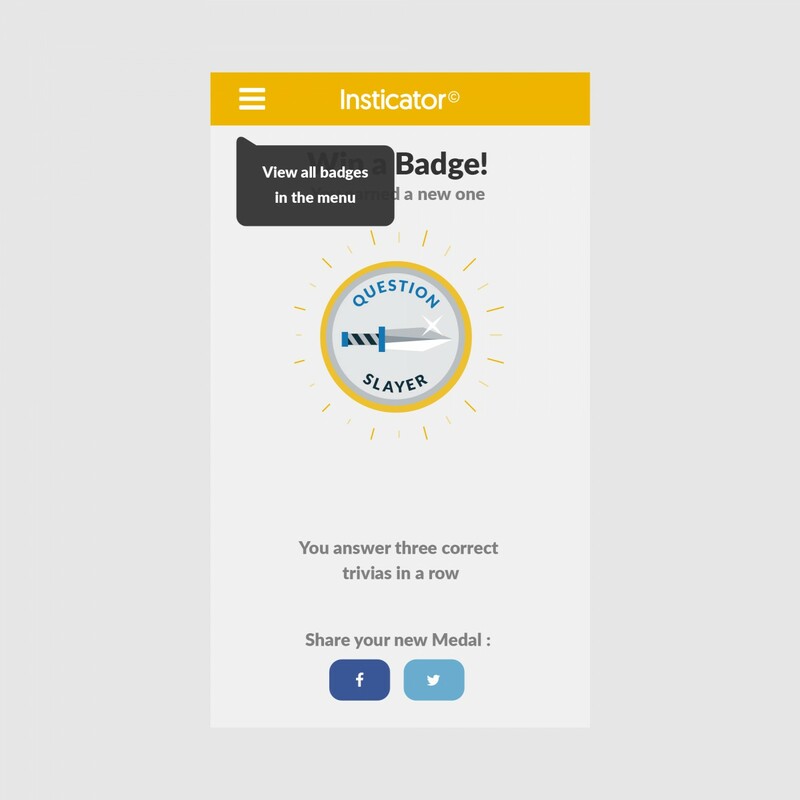 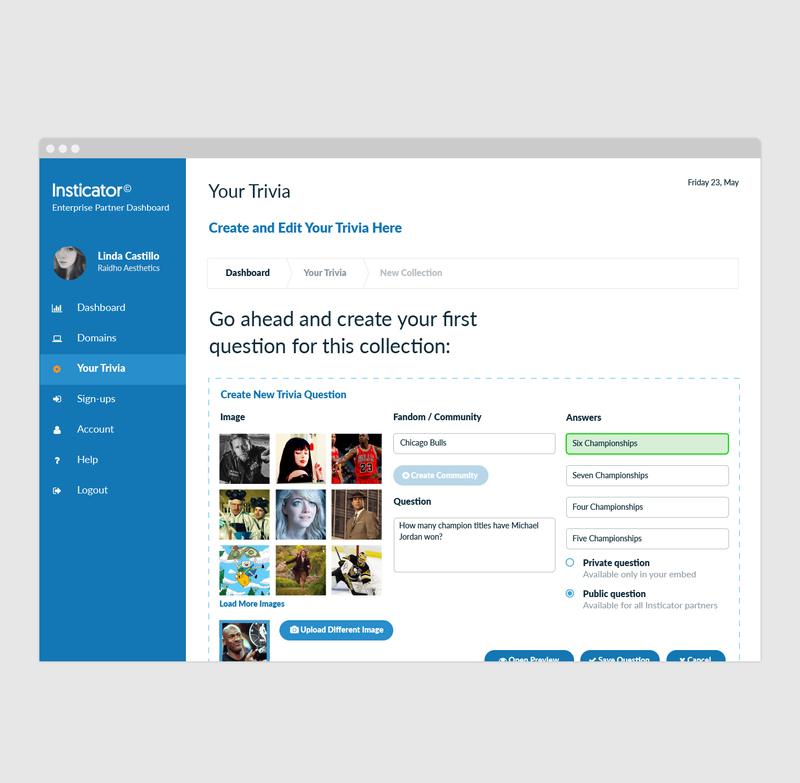 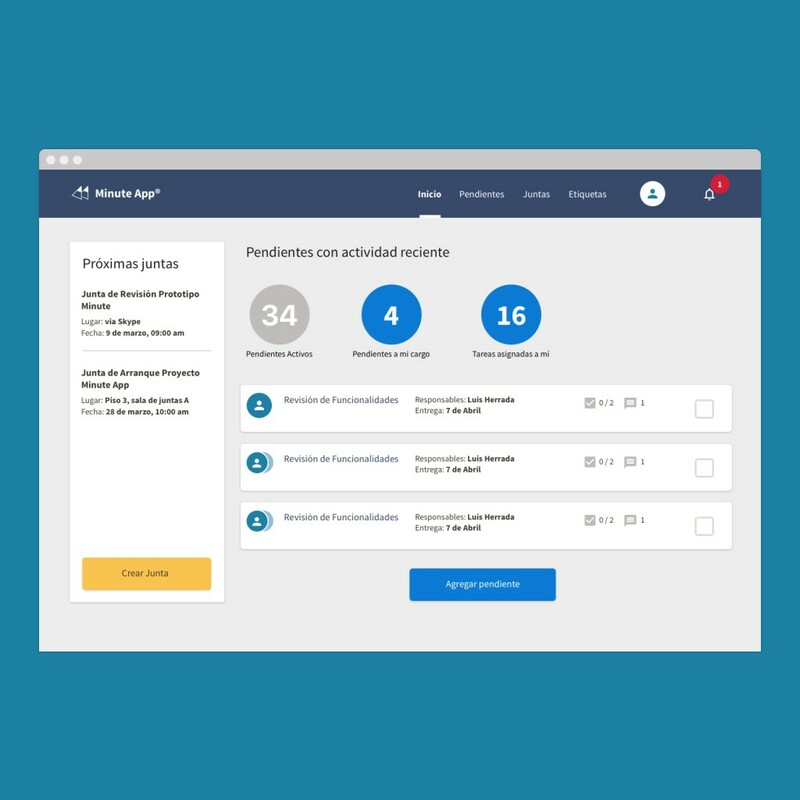 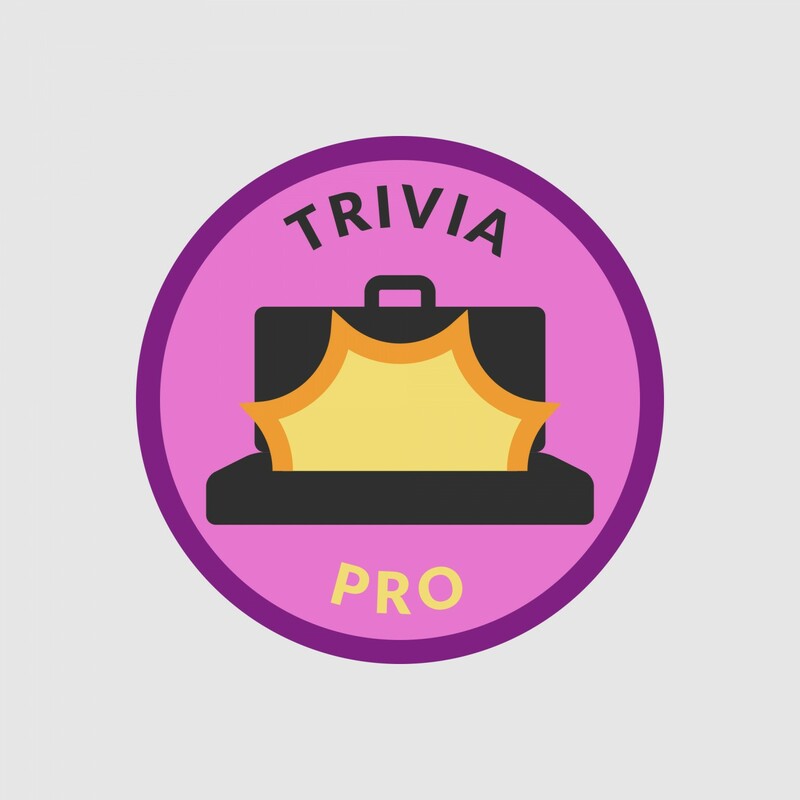 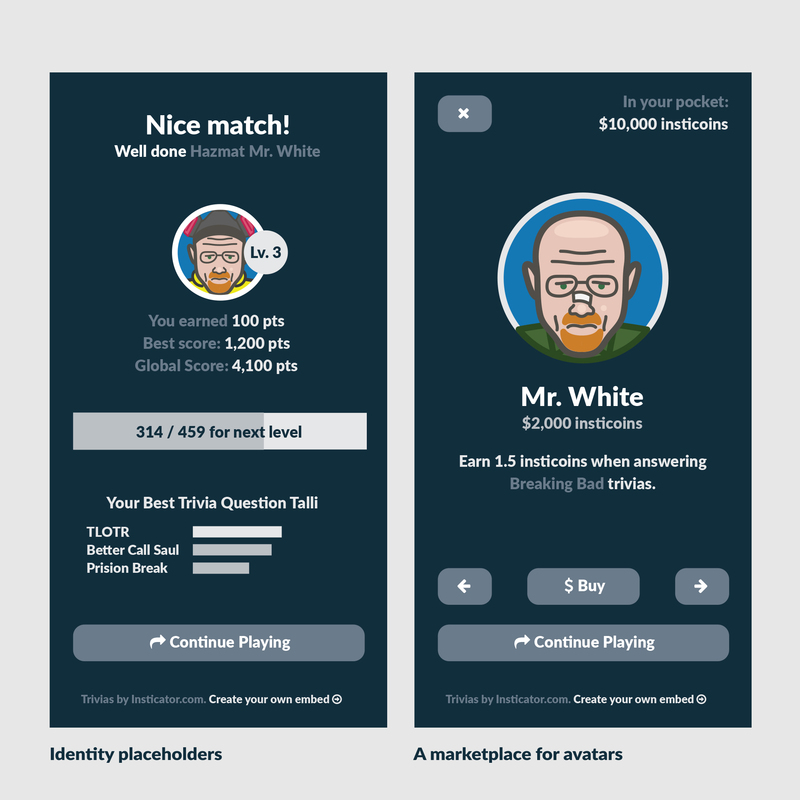 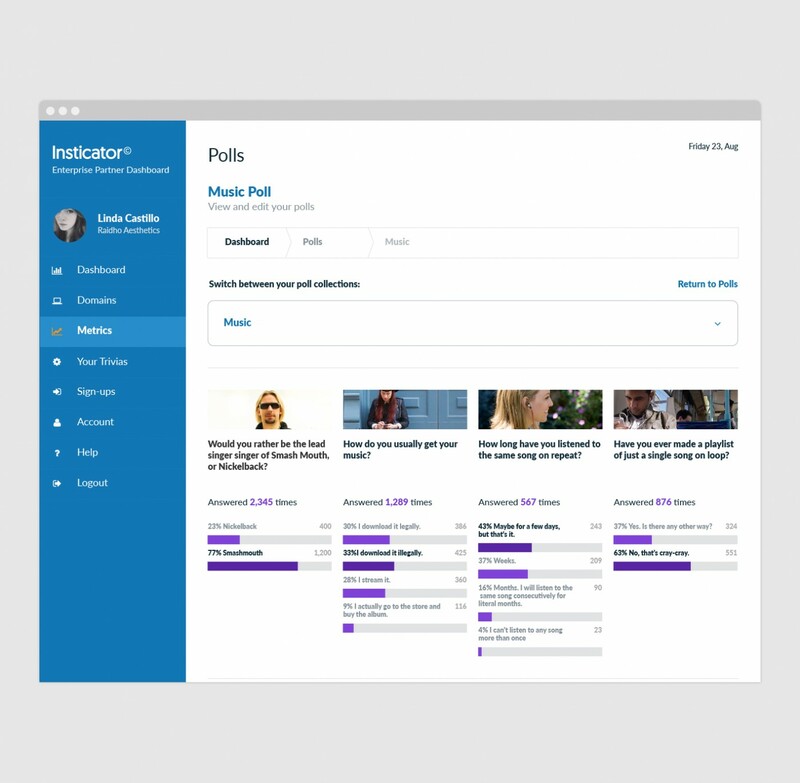 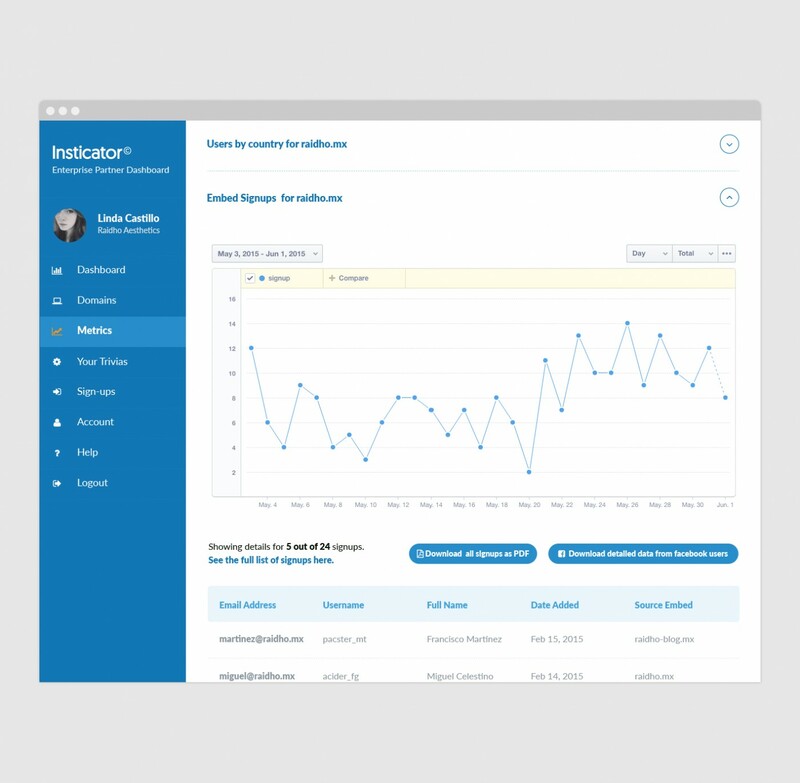 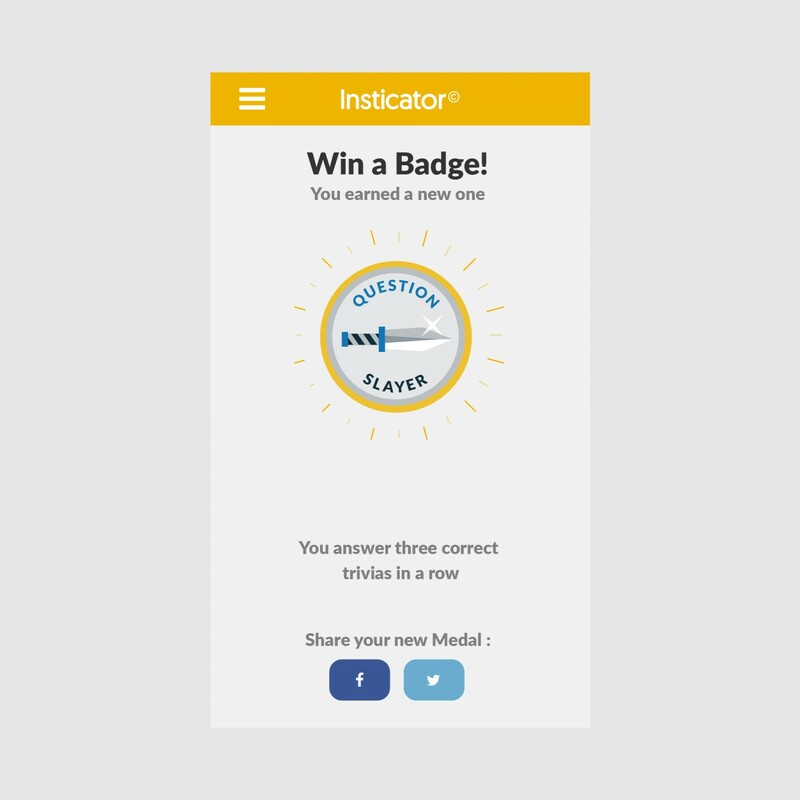 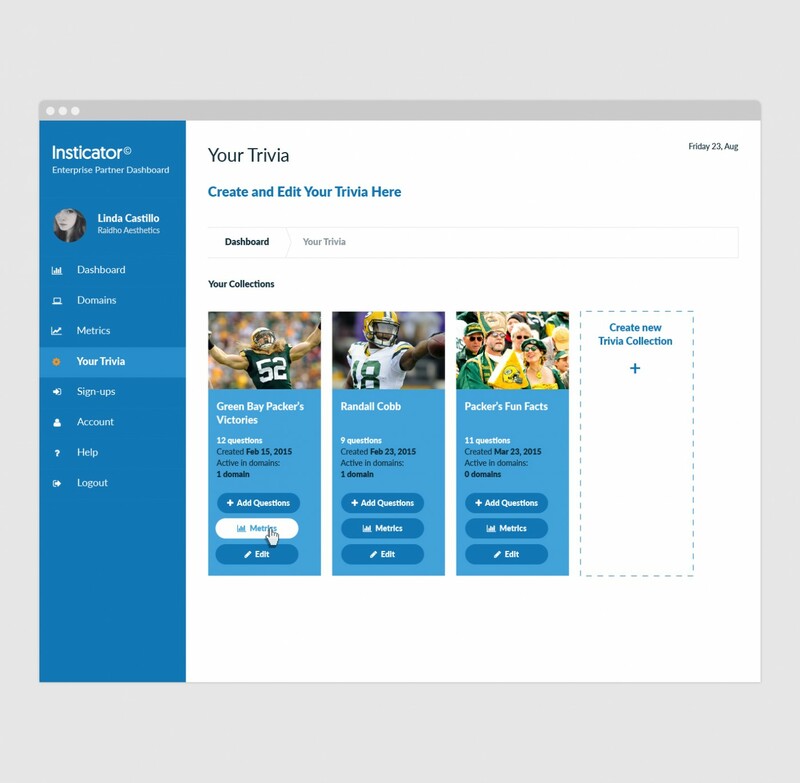 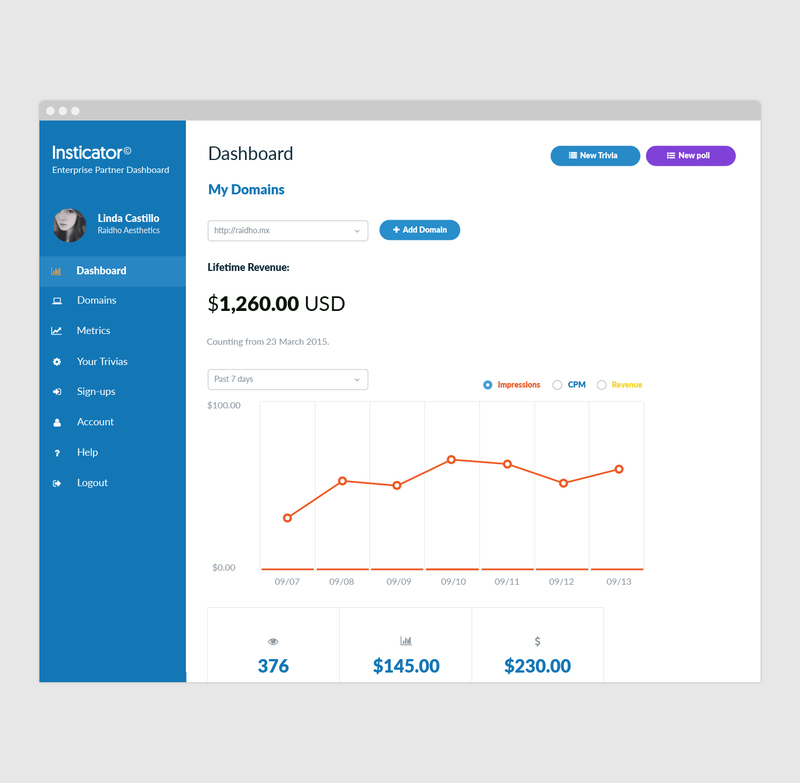 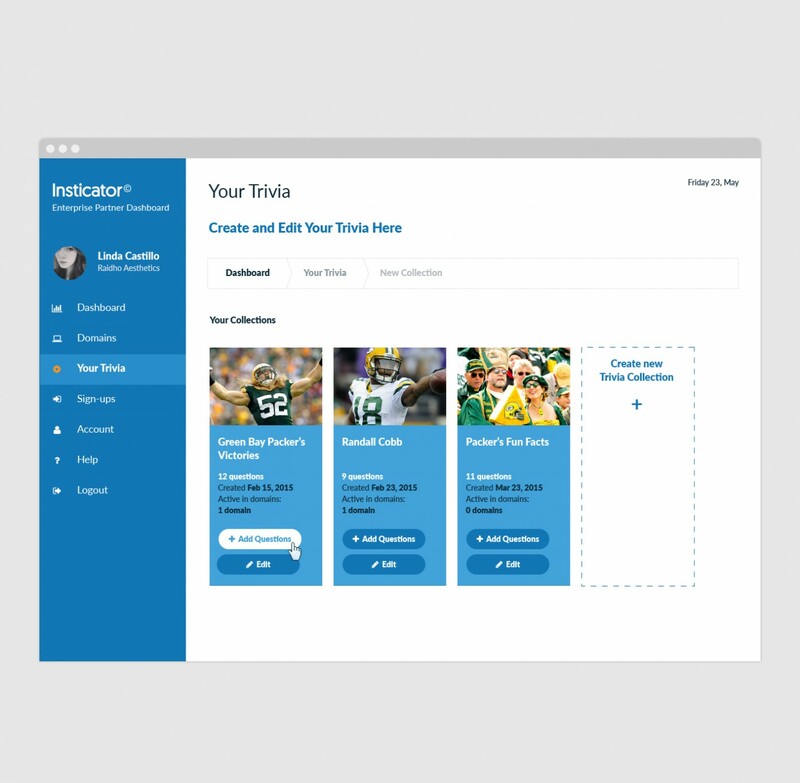 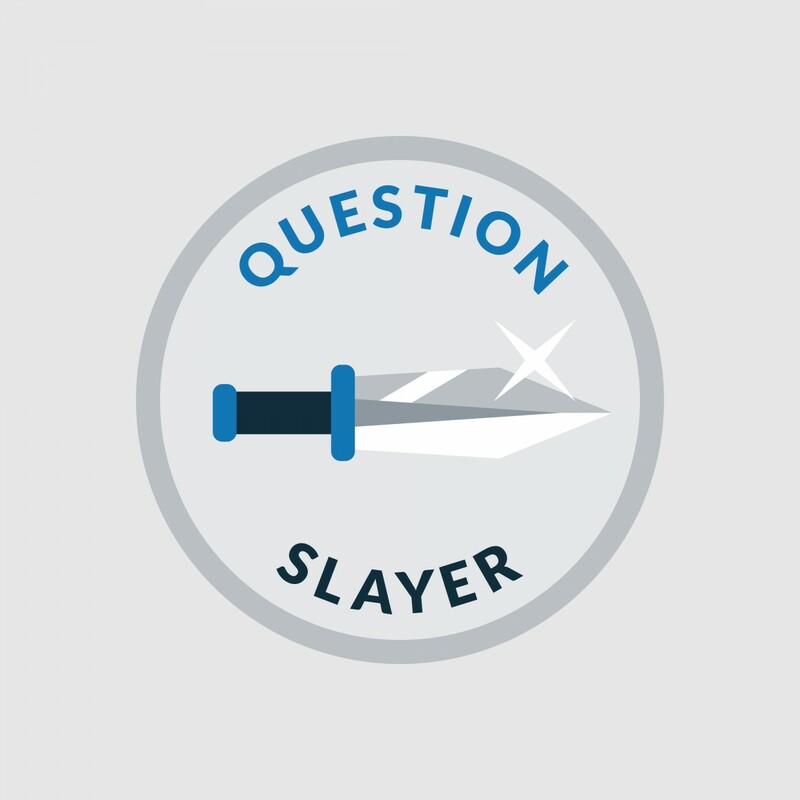 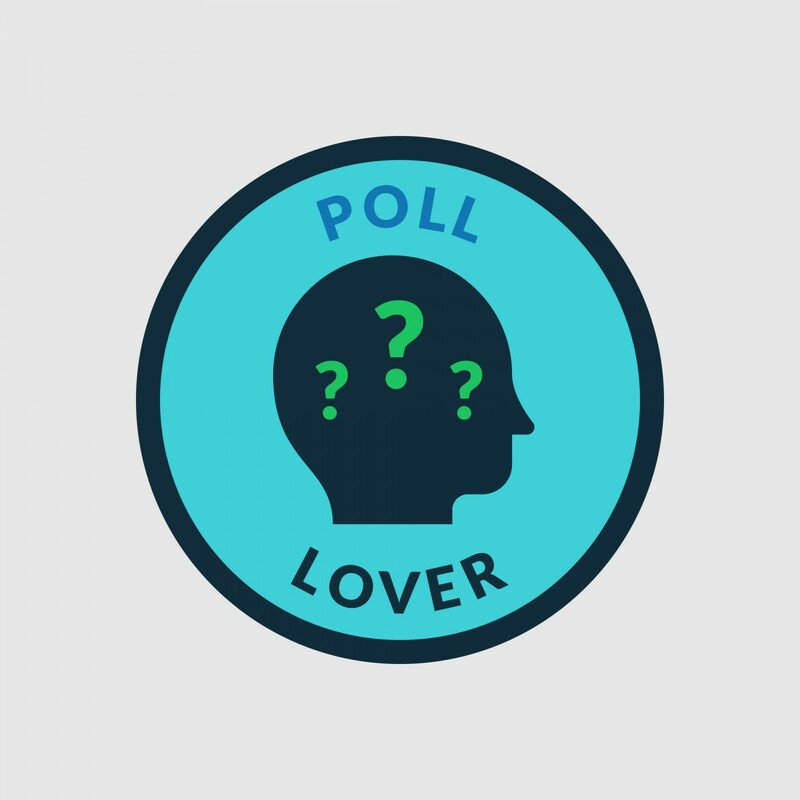 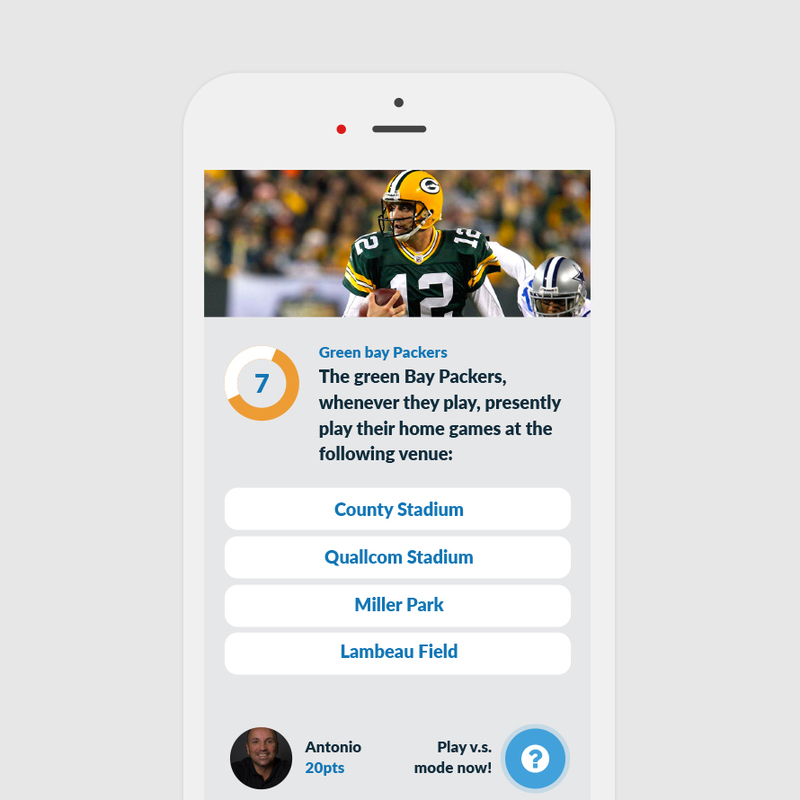 From their dashboard, Insticator partners are able to create their own embeds; design custom trivia collections and polls; keep track of their revenue; and so on. 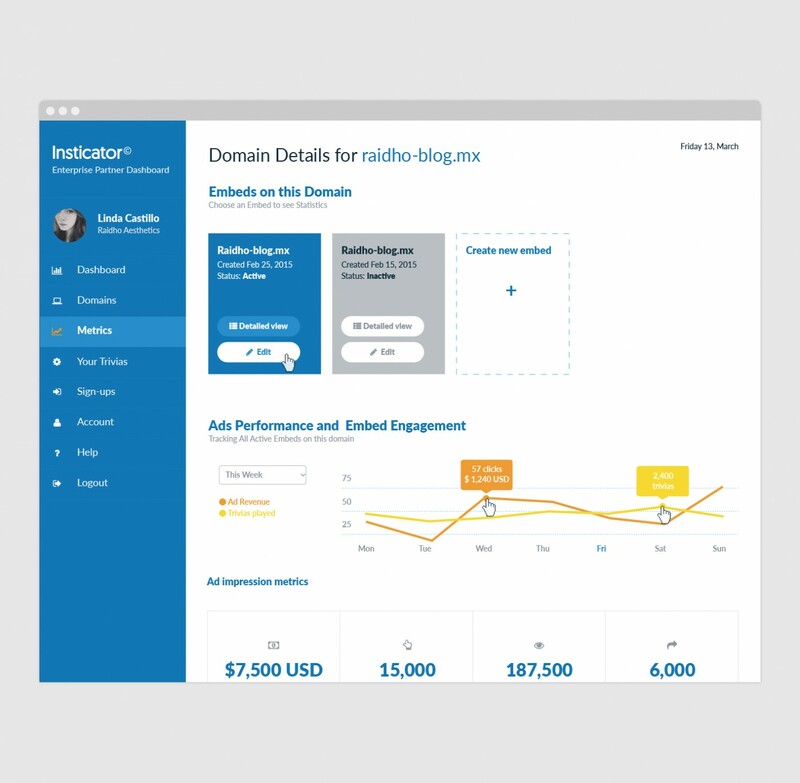 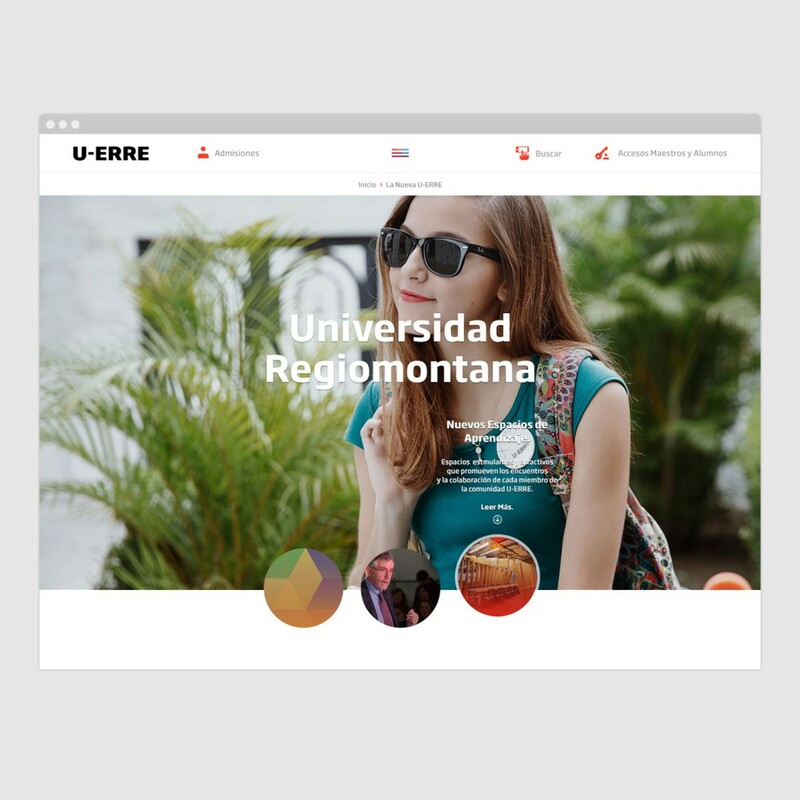 In order to promote the embed, we were also commisioned with the design of a sales website. 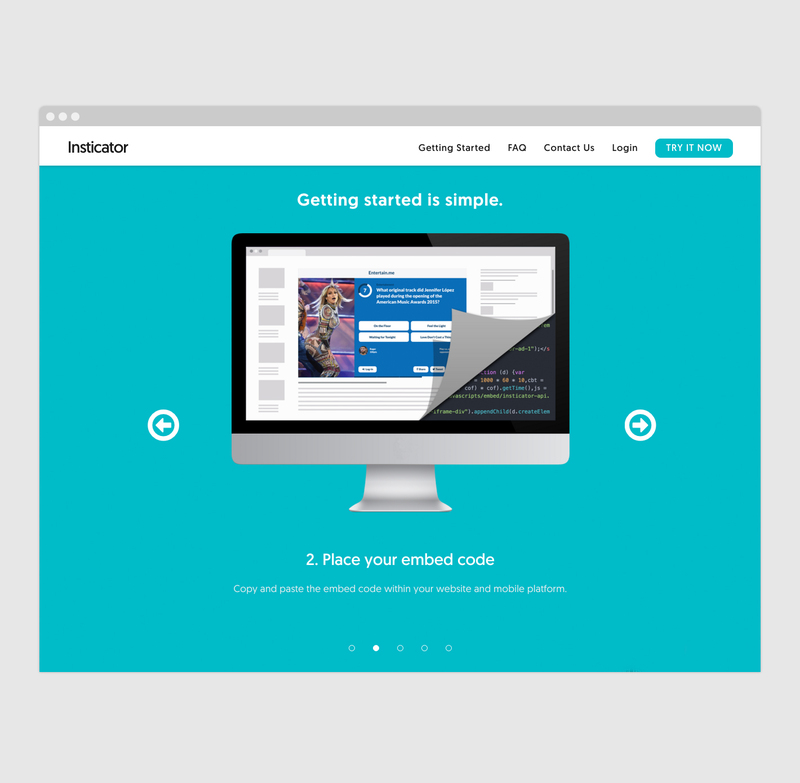 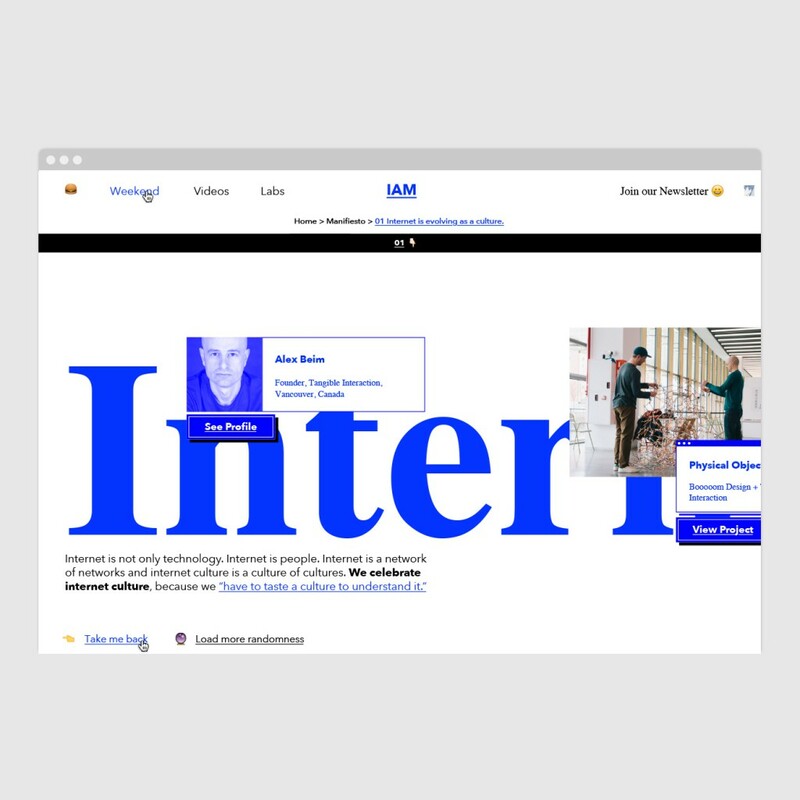 The website lets visitors learn about the embed; it’s technology and benefits; and get started as an Insticator partner.